"Why would you build a power plant so close to such a great spa facility?” This is frequently the first question people ask when visiting Iceland’s Blue Lagoon. This is a valid question, and there is a very logical reason for the location of Blue Lagoon, one of the 25 wonders of the world according to National Geographic”. Rather ironically, the Blue Lagoon is the result of an environmental accident formed during the installation and operation of the Svartsengi geothermal power plant in 1976. The spill created a surreal pool of blue water, geothermal seawater, near the plant and people started to bath in the water. Over the years, word spread of the healing effects of the lagoon’s water, particularly for people with skin ailments such as psoriasis. What was once a small changing room shack and dusty parking lot for locals has been built into a profitable company that employs 240 people year round. The Blue Lagoon attracts more than 600,000 visitors per year. An Australian company is hoping it can use thermal power from a Solomon Islands volcano to provide electricity to the country's capital, Honiara. Savo Island's volcano last erupted more than 100 years ago but steam escaping from its vents can often be seen from Honiara, on the much larger island of Guadalcanal where blackouts are not uncommon. If the project works out then power would be delivered to Honiara via an undersea cable that would run for the 14 kilometres between the two islands. The Brisbane based Geodynamics Limited and its joint venture partner Kentor Energy Pty Ltd (a subsidiary of Kentor Gold) told the Australian Stock Exchange the granting of development consent by the Solomon Islands Government follows a review of both their Environmental and Social Impact Assessment and their Environmental Management Plan. Bids are for 2 X 30 MWe geothermal power plants at Menengai to be commissioned by the end of December, 2015. 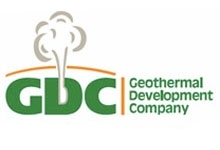 The Geothermal Development Company Ltd intends to prequalify bidders to finance, design, procure/manufacture, supply, install/construct, test, commission, operate and maintain (2x30-35) MW Geothermal Modular power plants on a 25 year Build-Own-Operate (BOO) basis in its Menengai Geothermal field. Through this process, it is planned that two different and independent bidders will be selected each to install a 30 MW Geothermal Modular Power Plant to be commissioned by the end of December, 2015. Britain is in the midst of a green energy revolution after production soared to record levels, according to new figures which deal a blow to opponents of renewable energy and a potential boost for consumers. The amount of electricity generated from renewable sources such as wind, solar and hydro has soared by 43 per cent in the past year to account for a fifth of production, as newly-built plants came on stream and the weather became windier, the U.K. Office for National Statistics has said. The jump was widely welcomed by experts who said it represented a landmark for the renewable energy movement and demonstrated the growing role that green electricity has to play in the power grid. Whereas past scientific explorations at Pilgrim Hot Springs determined developing geothermal energy at Pilgrim Hot Springs would be too difficult, new technologies have opened up new possibilities. The 33rd Annual Award winners will be announced at the GRC Annual Meeting in Portland, Oregon, USA. Last year's GRC Award winners. The Geothermal Resources Council (GRC) reminds the global geothermal community that the deadline for nominations for this year’s GRC Awards is today, June 27. The awards recognize distinguished colleagues in the geothermal community from around the world and have been a highlight of the geothermal calendar since the late 1970’s. The winners will honored at the GRC Awards Luncheon, the climax to the GRC Annual Meeting being held at the Oregon Convention Center, Portland, Oregon, USA from September 28 –October 1. The theme for this year’s meeting is Geothermal: A Global Solution. For the second time in a week, a State Assembly committee has held hearings and passed Imperial Irrigation District-endorsed Senate Bill 1139 - proposed new legislation that would diversify California's energy portfolio by requiring energy retail sellers to procure 500 megawatts of electricity from baseload geothermal power plants in the next 10 years. The Assembly's Natural Resources Committee approved the proposed legislation today, following a 6-2 vote. Earlier in the week the bill was approved by the Assembly's Utilities and Commerce Committee, 8-5; the Senate approved the bill in May. 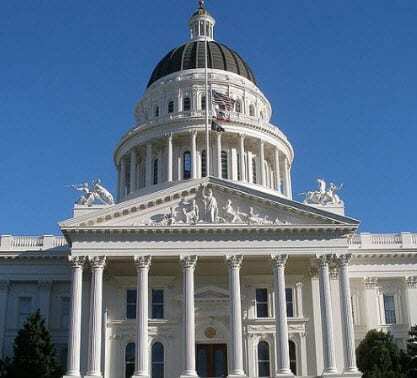 Authored by Senator Ben Hueso (D-San Diego) and Assemblyman V. Manuel Pérez (D-Coachella), the bill will now be scheduled to be heard by the Assembly Appropriations Committee in August. "We are very pleased to see this proposed legislation wend its way through the Legislature with success at this time," said Jim Hanks, IID Board President. "It really speaks to the true merits of the bill." Q: What are the current procedures for gaining underground access to oil, gas or geothermal energy sources? A: Oil and gas in the UK is owned by the Crown. Licences to extract it are granted by the Department of Energy and Climate Change (DECC). However, in addition to a DECC licence, companies must obtain the consent of all landowners through whose land they need to drill to reach the resource. In Star Energy v Bocardo , the Supreme Court confirmed that failure to do so would constitute a trespass. Currently, if a company cannot reach agreement with all necessary landowners, it may apply to the secretary of state and, with his permission, to the courts for a grant of access rights through the Mines (Working Facilities and Support) Act 1966. There is no equivalent procedure through which geothermal companies can seek rights to use underground land without landowner consent. Investigadores del Instituto Volcanológico de Canarias (Involcan) y del Instituto Tecnológico y de Energías Renovables (ITER), España, han realizado cinco prospecciones geoquímicas para localizar recursos geotérmicos en Tenerife y Gran Canaria. The Institute of Volcanology of the Canaries (Involcan) and the Institute of Technology and Renewable Energies (ITER) are performing geothermal research in the Canary Islands alongside Australian company Petratherm. The Group Stage of the Volcano World Cup is over! 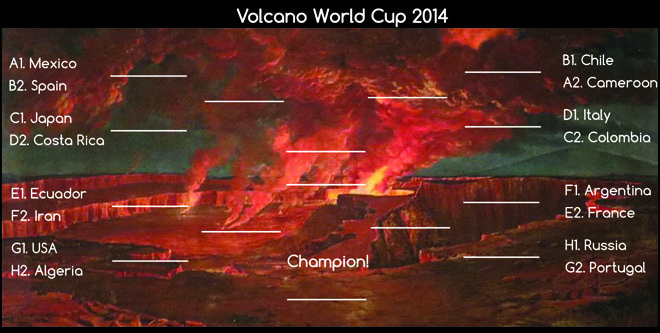 Above you can see the Round of 16 bracket as we march towards crowning the champion of volcanism. The voting for the first four Round of 16 games will start tomorrow, with the other four appearing on Monday. For volcanism also read potential for conventional geothermal energy! In both categories Chile and Mexico are joint favorites followed closely by the USA. U.S. company General Electric is set to take over French company Alstom’s gas and steam turbine businesses after the latter’s board chose GE’s revised bid over a competing joint bid from Siemens and Mitsubishi Heavy Industries. The French government has also supported this bid after disapproving the company’s previous bid, which sought to completely absorb Alstom’s power and grid businesses. In April, GE offered to buy Alstom’s power and grid businesses for an enterprise value of $13.5 billion. Combined with the $3.4 billion net cash held by these businesses, GE sought to take over Alstom’s power and grid businesses for a total sum of $16.9 billion. But the French government disapproved the offer, citing concerns related to loss of jobs from France and dissolution of an iconic French brand. Over the next two months, Alstom received competing joint bid from Siemens and Mitsubishi Heavy Industries. But Saturday, June 21, Alstom’s board unanimously chose GE’s revised bid after GE CEO, Jeff Immelt, met with the French president Francois Hollande and also addressed the French parliament to resolve their concerns related to, among other things, loss of jobs from France as a result of this deal. Hawaii County is drafting a request for proposals for a study on whether geothermal development in Puna is having an impact on the health of residents. The study is one of the recommendations made by the Geothermal Public Health Assessment Study Group in its report to the county last year. The group includes nine Puna residents, and was tasked by the county to address concerns related to health and safety of geothermal power production. A consultant, Peter Adler, assisted with the process. The group’s report stated a study is needed to determine if releases of hydrogen sulfide have impacted the health of residents who live near Puna Geothermal Venture. Geothermal is a cost-competitive and renewable baseload resource. So why aren't utilities adding more of it to the mix? Recent studies show geothermal energy is cost competitive – so why don't utilities use it more? 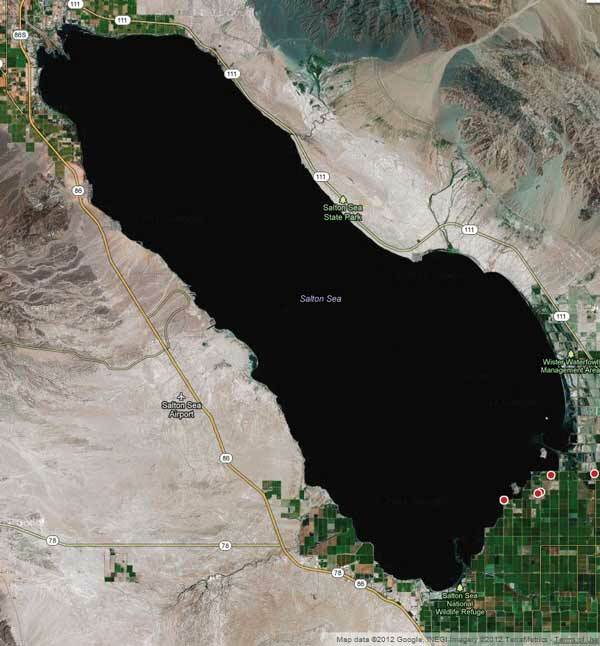 More importantly, according to officials at NV Energy, the Imperial Irrigation District, and the Sacramento Municipal Utility District, the common “Least-Cost Best-Fit” method of ranking generation requires utilities to ignore integration costs. Vídeo animado explicativo sobre energía geotérmica, en el que se define didácticamente en qué consiste la geotermia, sus principales usos (generación eléctrica y climatización) y los beneficios que ofrece esta energía renovable a sus usuarios y al país en su conjunto. An excellent animated video on geothermal energy, its main uses (power generation and air conditioning) and the benefits of this renewable energy from Plataforma Tecnológica Española de Geotermia (GEOPLAT). There’s a place where the perennially frozen ground of the Alaskan tundra is interrupted by 2 square miles [~ 5 km² ] of thawed soil. There, cottonwoods and thick brush grow among lazily meandering waterways. The Pilgrim Hot Springs are a pleasant symptom of the geothermal heat which warms the earth deep beneath Alaska’s Seward Peninsula, not so far south from the Arctic Circle. There, deep below the surface, hot water rises through fractures in the bedrock that comprises the valley floor. The Alaska Center for Energy & Power (ACEP), supported by the U.S. Department of Energy and the Alaska Energy Authority, undertook scientific testing to determine whether the geothermal resource at Pilgrim Hot Springs could provide the city of Nome, Alaska, with a worthwhile power source. ACEP brought together an interdisciplinary team of skilled scientific professionals to explore the geothermal potential of the area. Enter two team members: Ronald Daanen, geohydrologist in the Department of Natural Resources, Division of Geological & Geophysical Surveys, and Anupma Prakash, professor in geophysics remote sensing at the University of Alaska Fairbanks Geophysical Institute. 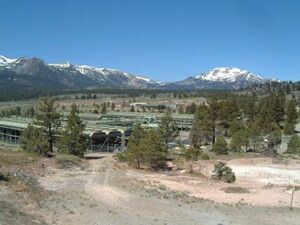 They utilize their expertise to gain data about the geothermal characteristics of Pilgrim Hot Springs valley which combine to create a valuable computational model. The REN Alliance partners, the International Geothermal Association (IGA), International Hydropower Association (IHA), International Solar Energy Society (ISES), World Wind Energy Association (WWEA) and World Bioenergy Association (WBA), are pleased to be teaming up with the International Renewable Energy Agency (IRENA), to offer a webinar on " Sustainable technology integration towards 100% renewable energy – Case studies”. This webinar is a result of a side-event the REN Alliance partners held at the United National Framework Convention on Climate Change (UNFCCC) Bonn Climate Change Conference 2014 on 11 June. This webinar will explore how 100% renewable energy supply is possible based on case studies of how renewable energy technologies are working together already and the real costs of renewable energy. The presentations will be followed by questions and answers with the panelist and audience. Geodynamics and its joint venture partner Kentor Energy have secured approval to start exploration activities at the Savo Island geothermal power project in Solomon Islands. The approval from the Solomon Islands Department of Environment follows review of the project's environmental and social impact assessment (ESIA) and environmental management plan (EMP). Geodynamics said the ESIA indicated the potential positive impacts for the Solomon Islands from the proposed projects, by replacing imported diesel fuel with a sustainable locally produced electricity supply. Geodynamics CEO Geoff Ward said with the approval of the ESIA and EMP and granting of development consent for exploration drilling, the company has secured all the required regulatory approvals to start geothermal drilling activities on Savo Island. U.S. Geothermal Inc. announces that Dennis Gilles, CEO and GRC Board Member, was interviewed by Tobin Smith, CEO of NBT Equities Research and former Contributor/Guest Anchor for Fox News & Fox Business News, following his previously announced presentation at the Marcum Microcap Conference on Thursday May 29, 2014 in New York City. U.S. Geothermal Inc. (HTM) Part 1 from tobin smith on Vimeo. U.S. Geothermal Inc. (HTM) Part 2 from tobin smith on Vimeo. Montserrat Drilling Site on the Flank of the Soufriere Volcano, Bastien Poux, EGS, Inc.
Geothermal energy is playing a key role in the transformation of the island, making a sustainable investment opportunity that much more attractive. With the creation and successful testing of two geothermal wells, the foundation has been laid for a geothermal energy program. Future development of a third well is backed by the United Kingdom government, which is evidence of their continuing support of the rebirth of Montserrat. Selected by the Montserratian government in October 2012, Iceland Drilling Company Ltd. began its search for geothermal energy on the island. The company created two geothermal wells between Weekes Village and Garibaldi Hill, located in the island’s exclusion zone. Previously a reminder of Montserrat’s past, the exclusion zone is now critical to the island’s future. This visit-by-permit-only zone of the island is the location of Montserrat’s old capital city, the ash-laden town of Plymouth, a modern-day Pompeii now poised to become a major tourist attraction. In addition to revenue derived from tourism, the presence of geothermal energy in the region offers the opportunity for further economic growth. 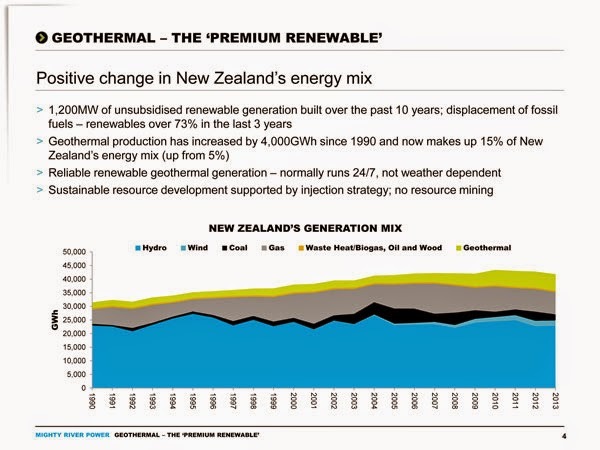 Now, with geothermal coming on board soon energy prices will be significantly lower. The two geothermal wells will produce environmentally-friendly, long-lasting energy, sufficient to power the island in the near future. With forthcoming construction of a third well, it is anticipated a surplus of energy may be available. The Geothermal Resources Council (GRC) reminds the global geothermal community that the deadline for nominations for this year’s GRC Awards is this Friday, June 27. The awards recognize distinguished colleagues in the geothermal community from around the world and have been a highlight of the geothermal calendar since the late 1970’s. Southern California Edison (SCE) has launched another round of solicitations for small-scale renewable source projects, including solar, wind, geothermal and biomass, with the goal of procuring up to 290 MWe from smaller-scale renewable projects through a Renewable Auction Mechanism (RAM). The submission deadline for this solicitation is Friday. The request for offers is open to renewable electric energy-generating facilities between 3 and 20 MWe. Additional RAM information and eligibility requirements can be found on the RAM 5 RFO website. SCE has obtained 530 MWe of renewable power for its customers through the previous four auctions. Offers must be electronically submitted by 12:00 pm PPT on Friday, June 27th, 2014. Yesterday, the Assembly Committee on Utilities and Commerce approved SB 1139, authored by Senator Ben Hueso (D-San Diego) and Assemblymember Manuel Pérez (D-Coachella). The bill diversifies the state’s energy portfolio by requiring energy retail sellers to procure 500 megawatts of electricity from baseload geothermal power plants by 2024. SB 1139 was approved on a vote of 8-5 and now heads to Assembly Appropriations Committee. Calpine's Michael Rogers, a GRC Member, talks about the company's difficulty securing renewals for existing contracts for its geothermal power and what kind of shadow that casts on new plants the company is developing. State policies in California favor subsidized wind and solar power, the company says. But wind and solar are an intermittent power source where geothermal is constant. Calpine says the true costs of wind and solar and the true economic benefits of its geothermal facilities aren't being factored in. Calpine's geothermal plants at The Geysers currently supply 18% of California's renewable energy, employ 300 people and help neighboring counties recycle wastewater. Hawaii Island could be less than a year away from having some of the first hydrogen-powered buses in the state on its roadways. As part of a pilot project spearheaded by the Hawaii Natural Energy Institute, three shuttle buses will be converted to hydrogen power. Two will be provided to Hawaii Volcanoes National Park, while the third goes to the Hawaii County Mass Transit Agency, also known as Hele-On. The hydrogen would be provided through a process known as electrolysis, which involves sending electricity through water to separate hydrogen from oxygen. Ormat's Puna Geothermal Venture has been identified as a potential supplier of the electricity for that process and a host for a filling station. Ewan said PGV remains a candidate but no agreements have been finalized. In Northern California, Akiko Fujita finds out how geothermal energy can be tapped into using a technique called hydro-shearing. The company Alta Rock energy says they've finally found a way of making this cost-effective now the geysers are creating less energy naturally. The world burns 2.5 million barrels of oil every day just to power car headlights. Figures like this illustrate the huge need to find highly productive energy sources that don't emit toxic pollutants and greenhouse gases. Global energy consumption is on the rise and making a long-term break from oil, gas and coal is also a long way off; but new ideas, new sources and new ways of utilizing energy need to be looked at if we are to meet demand. The Geothermal Resources Council (GRC), a non-profit educational association dedicated to the promotion of geothermal energy and associated technologies around the world, is pleased to announce the recipients of six GRC Scholarship Awards. The selection of recipients was based upon a variety of factors, including the individual’s academic record, student activities, geothermal industry experience, and career goals. The scholarships, totaling $15,000, will be presented at the Opening Session of the GRC Annual Meeting, being held at the Oregon Convention Center, Portland, Oregon, USA, September 28 – October 1. The winners of the Undergraduate scholarships ($1,500) are Megan Dewit of Simon Fraser University in British Columbia, Canada, and Paige Granneman of the University of California, Santa Barbara, USA. The three winners of the Graduate scholarships ($2,500) are Nastaran Arianpoo of the University of British Columbia, Canada; Joseph Batir of Southern Methodist University, Texas, USA, and Maciej Lukawski of Cornell Energy Institute in New York, USA. Finally, the Geothermal Project award ($4,500) goes to Holly McLachlan of the University of Nevada, Reno, USA. 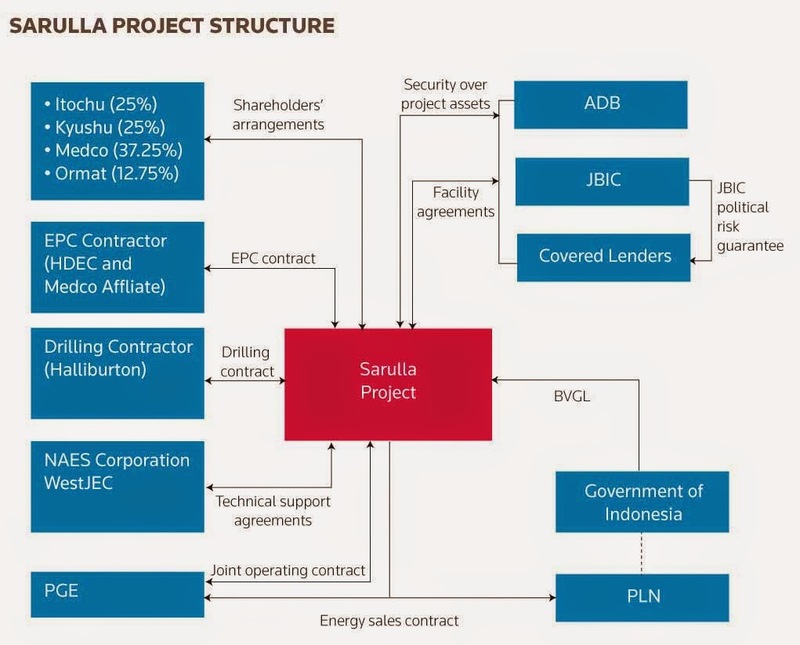 The US$1.6bn Sarulla geothermal project achieved signing of the financing documentation on March 28 2014, marking an important milestone for the geothermal power market in Indonesia. Overall power demand in Indonesia is projected to grow by more than 8% per annum until 2029. As – such, the Government of Indonesia recognises the economic imperative of sustainable growth and aims to increase the share of renewable energy in Indonesia’s primary energy supply from 5% in 2010 to 25% by 2025. With more than 29,000 MW of geothermal resources (equivalent to 40% of the global geothermal resource base) located in Indonesia and with a number of new geothermal power projects at various stages of development, it is expected that geothermal power will account for the vast majority of the new sustainable power generation to come on line, as well as a significant portion of Indonesia’s overall new power generation capacity. As the first greenfield geothermal power project to achieve successful signing of limited-recourse project finance documentation since Unit 1 of the Wayang Windu Geothermal Power Project in 1997, the Sarulla Geothermal Project should establish a new blue-print for the next generation of geothermal power projects in Indonesia. Hungarian oil & gas company MOL Plc. subsidiary CEGE Ltd. (owned 65/35% by MOL Plc. and Australian Green Rock Energy International Ltd.) has obtained rights on exploration and exploitation of geothermal energy on a 390 km2 concession area at Jászberény, Hungary. The two year exploration phase aims to explore the geothermal potential of the area through reinterpretation of existing 3D seismic data, shooting new magnetotelluric points, drilling a close to 3,000 m deep geothermal production well and through the establishment and testing of a geothermal system composed of a doublet. The expected CAPEX of the exploration project exceeds the amount of HUF 3.1bn. The Hawaii Electric Light Co. has told the Hawaii Public Utilities Commission that it has come up with a new timeline for awarding a geothermal energy contract for the Big Island, saying it will seek to compete the bid evaluation process by February 14. The Hawaii Tribune Herald reports HELCO, a subsidiary of the Hawaiian Electric Co., also said it expects to have an executed agreement available for review by the PUC by the end of April. The newspaper reports HELCO said that gives bidders more time to provide a "bet and final offer," which allows for lower cost bids to be submitted. HELCO was expected to award the geothermal contract last year. In May, the PUC issued an order telling the utility to come up with an explanation on how it planned to complete the final request for proposals for the geothermal contract. According to the latest “Energy Infrastructure Update” report from the Federal Energy Regulatory Commission’s Office of Energy Projects, wind, solar, geothermal, biomass, and hydropower provided 88.2% of new installed U.S. electrical generating capacity for the month of May. For the first five months of 2014, renewable energy sources (i.e., biomass, geothermal, solar, water, wind) accounted for 54.1% of the 3,136 MW of new domestic electrical generating installed. This was comprised of solar (907 MW), wind (678 MW), biomass (73 MW), geothermal steam (32 MW), and water (8 MW). By comparison, two new units of natural gas provided just 49 MW while no new capacity was provided by coal, oil, or nuclear power. Thus, for the month, renewables provided more than seven times the amount of new capacity as that from fossil fuels and nuclear power. Renewable energy sources, including hydropower, now account for 16.28% of total installed U.S. operating generating capacity: water – 8.57%, wind – 5.26%, biomass – 1.37%, solar – 0.75%, and geothermal steam – 0.33%. This is more than nuclear (9.24%) and oil (4.03%) combined. 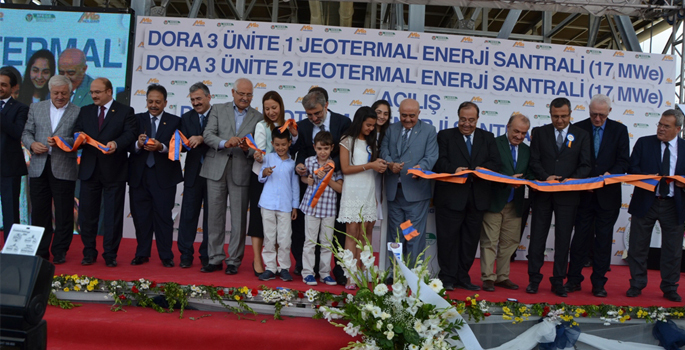 Turkey has held an opening ceremony for the commissioning of Dora 4 which is scheduled for the end of 2015 and has an installed capacity of 17 MW. Shrinking the options for green energy is probably not what the leaders of the State of California have in mind. But that may be what's happening. According to energy giant Calpine, hundreds of millions of dollars in historically profitable geothermal energy investments at its famed Geysers facilities may be at risk as California utilities marginalize geothermal power in favor of other renewables, like wind and solar. As the state's renewable energy mandate expands, utilities are not being required to contract for geothermal power and, according to the company, are instead choosing wind and solar. Geothermal has been an established energy source for 100 years and while maintenance of its wells, plants and infrastructure carries considerable expense, it is a proven technology and a constant source of power that is already embedded in the local economy. Siemens and Mitsubishi Heavy Industries have sweetened their offer for French company Alstom by €1.2bn, pushing the value of the deal to €8.2bn. The companies have also put forward a simplified deal structure under which MHI will take a straightforward 40% stake in Alstom’s combined steam, grid and hydro business for €3.9bn. The revised deal structure followed “extensive discussions with all stakeholders” since an original €7bn bid was filed on Monday. It is designed to “reduce complexity, strengthen execution and narrow risk exposure”. GE submitted a revised $13.5bn bid which is on the table until 23 June. An opportunity has arisen within the Cheshire East City Council Major Projects and Regeneration Department for an interim project manager to assist with the delivery of the Crewe Deep Geothermal Energy project. The candidate will be expected to advise on site selection, enabling and pre development work, management of competitive dialogue procurement process, liaison with other consultant teams feasibility studies that are currently commissioned and provide a single point of contact for the project with internal and external specialist advisors. REN21's Renewables Global Status Report (GSR) provides a comprehensive and timely overview of renewable energy market, industry, investment and policy developments worldwide. It enables policymakers, industry, investors and civil society to make informed decisions. The report covers recent developments, current status, and key trends; by design, it does not provide analysis or forecast. The report demonstrates that support for renewable energy is growing worldwide and at the beginning of 2014, the governments of 144 countries have set renewable energy targets, almost a ten-fold increase since 2005 when only 15 countries had policies in place. The US retains it's place at the top of the list for geothermal energy followed by Philippines, Indonesia, Mexico and Italy. The report writes that about 530 MW of new geothermal generating capacity came on line in 2013. Accounting for replacements, the net increase was about 455 MW, bringing total global capacity to 12 GW. This net capacity growth of 4% compares to an average annual growth rate of 3% for the two previous years (2010–12). Direct use of geothermal energy—for thermal baths and swimming pools, space heating, and agricultural and industrial processes—is estimated to exceed 300 petajoules (PJ) annually, but growth is not robust. Governments and industry continued to pursue technological innovation to increase efficient use of conventional geothermal resources. In parallel, the use of low-temperature fields for both power and heat continued to expand, increasing the application of geothermal energy beyond high-temperature locations. Climate change may drive a shift to more renewable energy generation, to conserve water, a U.S. Department of Energy report said this week. The report, The Water-Energy Nexus: Challenge and Opportunities found a risky mutual dependence between water and energy. Energy was needed to pump, treat and transport water, while water was needed to cool electricity generating equipment in thermal power plants such as gas, coal, nuclear and concentrated solar power. Such thermoelectric power accounts for 40% of all U.S. freshwater use. Among thermoelectric generation technologies, nuclear power was the most dependent on water, withdrawing around 45,000 gallons per megawatt hour, followed by gas, coal, concentrated solar and geothermal power. Federal energy regulators today signed off on a politically popular plan that allows California's grid manager to launch a voluntary "real time" energy market and share its electricity resources with five Western states. 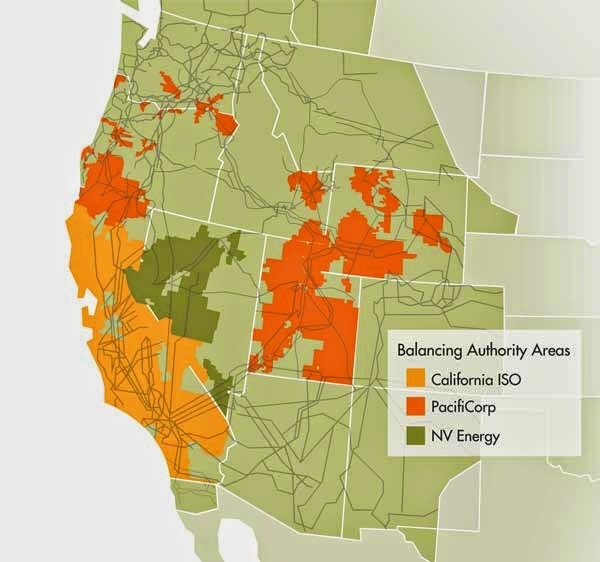 The Federal Energy Regulatory Commission unanimously voted to conditionally accept the California Independent System Operator's (CAISO) proposal -- as made through tariff revisions -- to design an energy imbalance market, or EIM, which pools energy resources in parts of Oregon, Washington, Utah, Wyoming and Idaho. A study by CAISO and PacifiCorp of the benefits from an energy imbalance market for their balancing authority areas projected annual consumer benefits of up to $129 million from economic efficiencies, improved renewable integration and increased reliability. State grid operators have proposed to launch the market on Oct. 1. The DEEP Earth Energy Corp. continues to make progress in its effort to build Canada's first geothermal power plant near the Boundary Dam Power Station. Kirsten Marcia, the former Estevan resident and self-described “resource junkie” who is at the helm of the project, provided an update on DEEP Earth at the Estevan Energy Expo on June 12. She is hopeful that the plant will be on-line in early 2017, and generating 5 MWe of power, with the potential for more in the future. 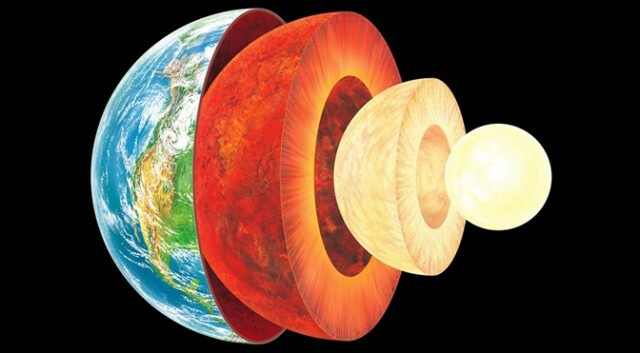 DEEP Earth's objective is to drill into heat resources at least three kilometres below the earth’s surface. The last thing lawmakers did as they passed California’s $108 billion general fund budget this week was take up a mysterious tax break for the solar industry. SB871, which extends a property tax for solar credits through 2024, was never heard by a regular policy committee and the public had little chance to provide input before the Democratic Legislature rammed it through last weekend. Other alternative energy groups, including the California Wind Energy Association, U.S. Geothermal Energy Association and California Biomass Energy Alliance, said the tax break unfairly benefits one renewable energy technology. The solar industry is doing well, they said, while alternatives flounder. Sen. Mark Leno, D-San Francisco, acknowledged ownership Wednesday in an interview with The Associated Press. Campaign records show that solar power companies and a building industry association backing the tax break contributed $11,500 last year to Leno’s lieutenant governor account for 2018, when he is termed out of the Senate. The United States Energy Association (USEA) seeks an experienced Senior Program Coordinator with experience in Sub-Saharan Africa (preferably East Africa), knowledge of the global energy sector, and an understanding of government contracting to assist with the execution of a U.S. Agency for International Development (USAID)-funded project to advance geothermal energy development in East Africa and expand business opportunities for U.S. geothermal companies. Candidates who meet the position requirements and are available to begin work in Summer 2014 should email a Cover letter, Resume, and Three professional references to Ms. Britt Shaw at bshaw@usea.org, no later than July 7, 2014. The Geothermal Resources Council (GRC) reminds the global geothermal community that the deadline for nominations for this year’s GRC Awards is June 27. The awards recognize distinguished colleagues in the geothermal community from around the world and have been a highlight of the geothermal calendar since the late 1970’s. 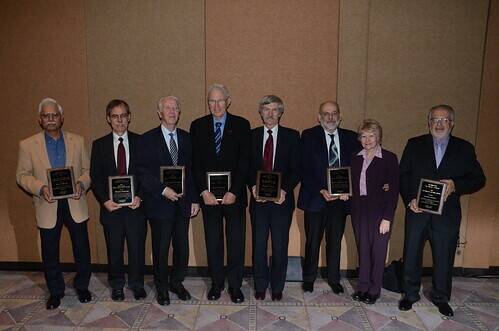 “The recipients of these awards often have a lifetime of achievement in the international geothermal academic, scientific and commercial communities”, said GRC Executive Director Steve Ponder. “The GRC Awards recognizes the contributions of these individuals to the global geothermal sector”. 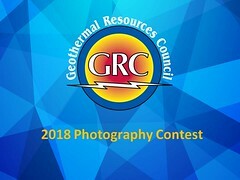 More information on the GRC Awards, including a nomination form, can be found on the GRC website [www.geothermal.org]. The deadline for nominations is June 27, 2014. The Government of New Zealand and Martinique, the Clinton Climate Initiative (CCI), World Bank and several energy-related organisations have pledged their support to helping St Lucia develop its geothermal resource. Representatives from these countries and donor agencies met with local officials at a National Energy Partners Forum held here on June 17-18 as the government seeks to further its geothermal development prospects. Among commitments made at that meeting, was a pledge by the New Zealand government through its foreign affairs ministry to provide technical assistance to Saint Lucia for the surface exploration of its geothermal energy resource. According to Energy Minister Dr. James Fletcher, the government is hoping to get a 30 MW geothermal plant from the energy derived from local sulphur springs. The Philippines Department of Energy (DOE) is planning to bid out new geothermal areas for exploration to prospective investors. Engr. Ariel Fronda, DOE chief of Geothermal Energy Management Division, said on Thursday at the sidelines of the Power and Electricity World Philippines 2014 that the agency will offer in the third quarter the Balut Island geothermal prospect in Davao del Sur. The said prospect is subject to an open and competitive selection process. “We are finalizing the terms of reference and target to conduct an open and competitive selection process for the area this third quarter,” Fronda said. The agency has also identified two more areas: the Banton Island in Romblon and the Maricaban Island in Batangas. These two and the Balut Island were earlier identified as potential geothermal areas for further exploration. “There are three proposed geothermal areas for investors but so far we have determined one that can be offered to the private sector,” said the DOE official, referring to the Balut Island. The growth of geothermal energy production has contributed to Oregon’s increased economic activity in recent years. Oregon is the third busiest state for geothermal projects under development, with many of them in southern Oregon. Some of these projects include City of Klamath Falls, Oregon Institute of Technology, Neal Hot Springs, Newberry volcano and Paisley. The 38th GRC Annual Meeting & GEA Geothermal Energy Expo will be held September 28 -October 1 at the Oregon Convention Center, Portland, Oregon, USA. A geothermal power plant being developed by Nairobi based TransCentury at Menengai is expected to start feeding the national electricity grid by end of next year. The firm said the 35 MWe power plant is part of its planned investments in high value infrastructure projects over the next three years. TransCentury is part of a consortium awarded the contract to build the geothermal power plant and a Power Purchase Agreement (PPA) has already been initialed. Mammoth Community Water District (MCWD) yesterday released letters from Representatives Paul Cook (CA-8) and John Garamendi (CA-3) in support of MCWD’s concerns regarding the proposed Ormat Casa Diablo IV Geothermal Energy Project (Casa Diablo IV), which could threaten the region’s limited water supply. The congressional representatives join the Town of Mammoth Lakes (Mammoth) and local community groups in voicing concerns over the proposed project. 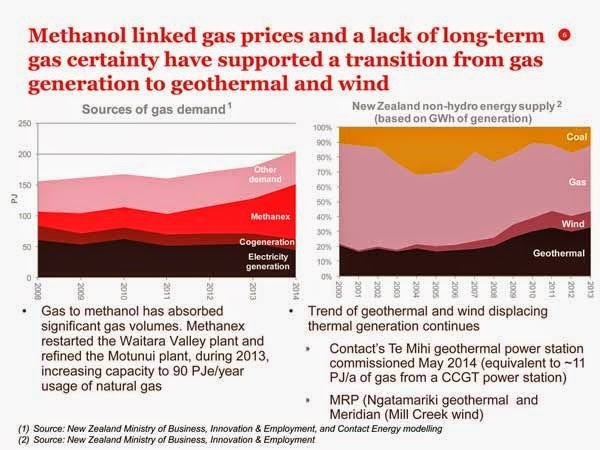 New Zealand's second biggest utility Contact Energy has told the Australian Resources Energy and Utilities Conference that it is moving away from firm gas contracts in preference to geothermal and wind power generation. Mighty River Power Ltd has told the Australian Resources Energy and Utilities Conference that it considers geothermal as the premium renewable energy. Save for a nonsensical first drive of a new Subaru, we don’t include Iceland in our general coverage. But the tiny Nordic isle has been drawing BMW’s R&D budget for—thing of all things—carbon-free computers. BMW’s eco-friendly agenda for its i3 and i8 electric cars has seeped into places where even the most Californian of Californians doesn’t check—the servers processing CAD models, crash simulations, aerodynamics, and other data-heavy computing required for their development. In Iceland, geothermal heat and hydroelectric dams keep 1300 servers humming for BMW day and night, with naturally cold air to chill all the rigs. If that sounds expensive, in Iceland—where active volcanoes keep piping hot water under the surface and power two-thirds of the country’s energy usage—it’s easy. The Earth's interior could contain more than three times the amount of water in all our oceans combined, existing within the structures of silicate materials that are stable at the prevailing conditions deep inside the Earth. New research from ETH Zürich has helped to elucidate exactly how deep water gets transported into the Earth's interior. Water is fundamental for processes that occur at the Earth's surface, but also plays a critical role in many geological processes occurring deep inside of it that shape its evolution. Small amounts of water incorporated into the structure of minerals have a major effect on their stability, behavior and phase equilibria. Global processes such as mantle convection, plate tectonics and naturally occurring catastrophic events such as earthquakes and volcanic eruptions are strongly influenced by the activity of this water. Water is reintroduced into the Earth’s interior by hydrated tectonic (oceanic) plates that return into the mantle in subduction zones, and released when hydrous minerals/phases are decomposed due to the high pressure and temperature of the Earth’s interior. Much of this water returns to the surface by volcanism, but a large fraction of is retained in newly formed high pressure hydrous phases that are stable at much higher depths, opening the possibility for water to recirculate deeper into the mantle beyond 400 km depth. However, the exact amount of water stored in the solid Earth, and how (and how much) of this water is recycled back to the surface, remains obscure. The U.S. House Appropriations Committee approved a $34 billion spending bill for the Department of Energy (DOE) and Army Corps of Engineers Wednesday. For the Geothermal Technologies program the Committee recommends $46,000,000 for Geothermal Technologies, $198,000 above fiscal year 2014 and $15,500,000 below the budget request. Within available funds, the recommendation provides $27,000,000 for Enhanced Geothermal Systems, of which $21,000,000 is for site selection and characterization activities for the Frontier Observatory for Research in Geothermal Energy project. The budget for the Geothermal Technologies program in recent years is as follows: 2010 - $43.1; 2011 - $38.0; 2012 - $37.8; 2013 - $37.8; 2014 - $46.0 (recommended). The Committee recommends $1,789,000,000 for Energy Efficiency and Renewable Energy, $112,686,000 below fiscal year 2014 and $527,749,000 below the budget request. The Committee recommends $369,500,000 for Renewable Energy, $80,292,000 below fiscal year 2014 and $151,800,000 below the budget request. The bill now heads to the U.S. Senate which is more likely to increase the spending rather than make cuts.